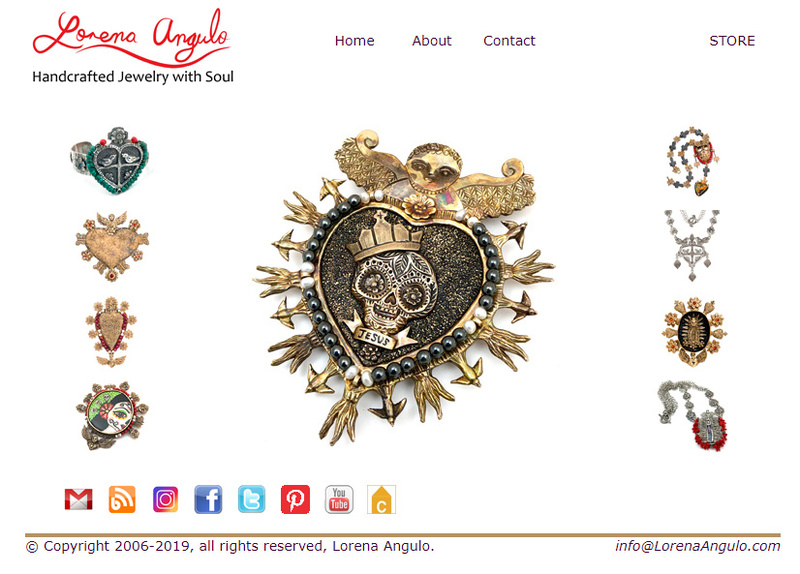 I am happy to announce I will be teaching again next year at Adorn Me! Houston 2012. This is a great event where you will have the great opportunity to meet other people with the same passion for creating and to take classes with great teachers for a whole week. Registration is now open for all the workshops and I am sure you will have tons of fun in this incredible art event. The event will take place in the host hotel, The Embassy Suites. 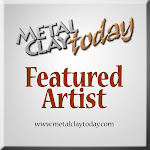 Daytime workshops begin at 9 am, lunch break from 12 to 1 pm, and resume the class from 1 to 4 pm. The evening workshops are from 6:30 pm to 9:30 pm. 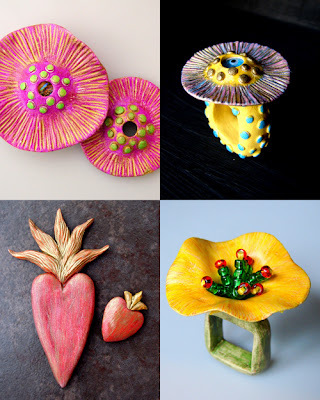 Paper Clay Jewelry- In this class we will be working with Creative Paperclay and I am sure you will have a lot of fun working and coloring this great material. 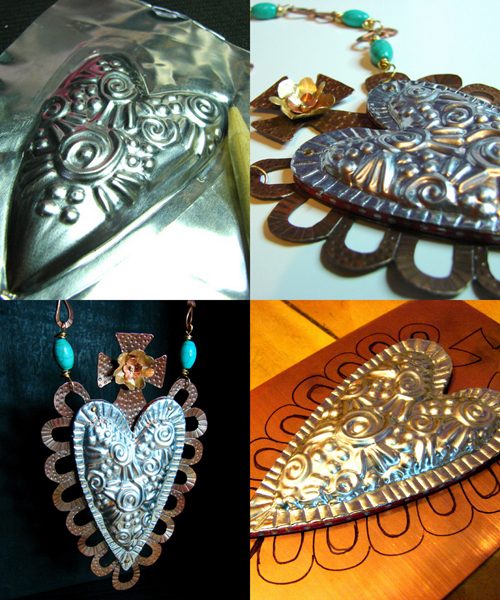 Corazon Repujado (Metal embossed heart)- In this workshop you will learn how to metal emboss with aluminum, cold joint pieces and much more! Come ready to have a great time !! I hope I can see you in my classes !! Oh yes, I think I just might have to take that creative paper clay class! !